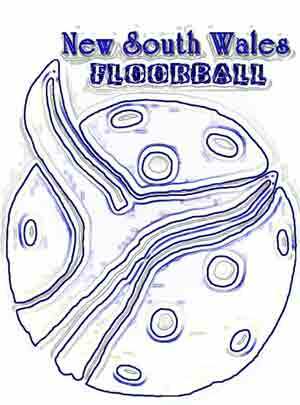 Merewether Thongs Floorball evolved in January 2000 when we won Australias first outdoor 3 on 3 tournament in front of 100,000 festival goers. The victory took place in dramatic overtime, one player stripped from each team every scoreless minute. Coming down to one on one, the Thongs scored 3 and a half 'gladiator' minutes later against the Sydney team to take the first prize helicopter ride over blue Newcastle January skies! Write to the thongs and say your bit on floorball! 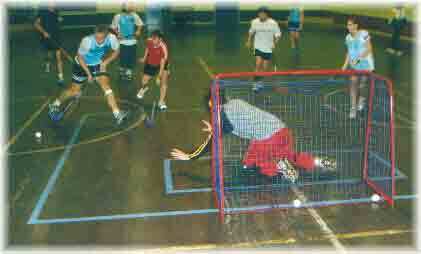 Merewether Thongs Floorball now compete in the Newcastle Junior and Senior competitions as well as other 3 on 3 events. Merewether covers the southern beaches of Newcastle which are some of the most popular in the world. Still we love to play Floorball as much as possible. Look through the menu list to find the appropriate contacts, match information, rules, links, coaching tips, schools programs, pictures, and various other options.